Brilliant mini version of its Genesis big brother. 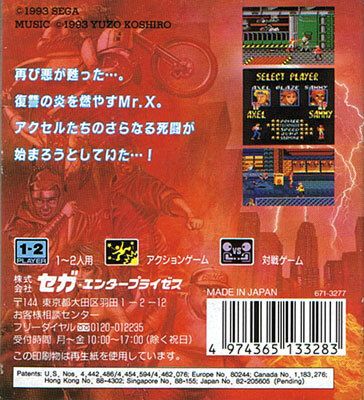 Multiplayer link up, special moves for the characters, the addition of extra levels (and keeping the bike, knife and pipe weapons) plus lavishly detailed sprites add up to make an excellent pocket game that packs quite a punch. 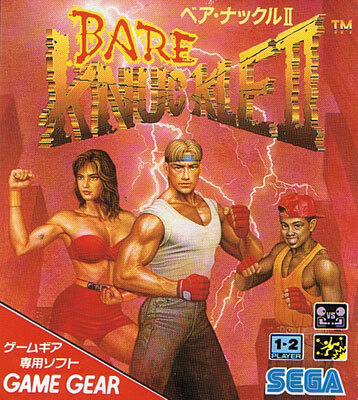 Known in the West as Streets of Rage 2. Second hand. 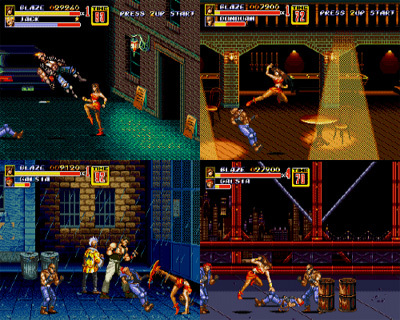 Features in the top ten most important titles, Edge's Mega Drive Collector's Guide. Couple of slight impressions on the front of manual with slight discolouration on the back. Box a bit mis-shapened with a small 'check OK' sticker on it.